Wrinkles begin to form as we age as a result of repeated muscle contractions in the face. Frown lines are some of these common wrinkles, which is a trait that can make you look much older than you actually are. Xeomin® is a unique injectable that relaxes the muscles responsible for wrinkles to diminish the appearance of frown lines. 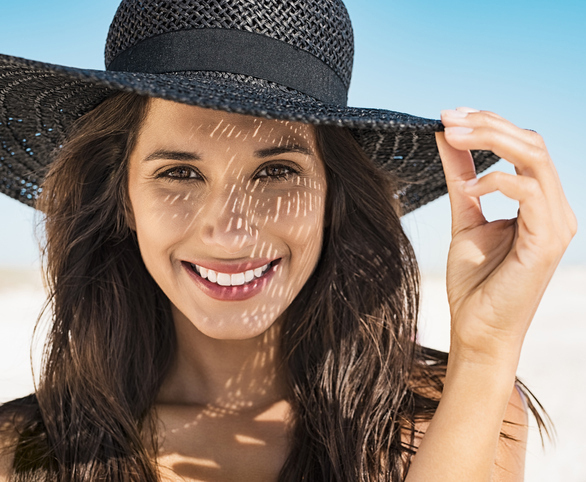 RGV Cosmetic Surgery & Vein Center offers Xeomin® to patients in the South Texas area, including Brownsville, McAllen, and the Rio Grande Valley. Xeomin® is an injectable neurotoxin that is designed to relax the muscles in the face that are responsible for the development of severe wrinkles, specifically frown lines. Like Botox®, it diminishes the appearance of these wrinkles by blocking the release of chemicals that cause the facial muscles to contract. Not only can Xeomin® temporarily provide wrinkle reduction, but it can also prevent wrinkles from developing or worsening if used regularly. Xeomin® is highly purified, composed of only the neurotoxin necessary for effective results. The Xeomin® treatment is performed much like other injectables and dermal fillers. We offer patients a topical anesthetic to minimize any discomfort that may arise any treatment. Then, injections are made around the forehead where the wrinkles are occurring. This process is typically quite comfortable, and takes less than 30 minutes to complete. The Xeomin® injection begins to work before patients even leave their appointment. When Will I See Results from Xeomin®? Many patients will notice results immediately after their appointment. After the facial muscles relax, you can typically see a difference in the appearance of wrinkles right away. In some cases, patients may not notice results until up to a week after treatment. The results from Xeomin® are clinically proven to last up to four months, after which patients are able to receive additional treatments to maintain their results. Is There Any Downtime After Xeomin®? The Xeomin® treatment is minimally invasive and therefore requires no downtime after treatment. Some patients may experience swelling in the treatment area, but this typically fades away within 48 hours. Patients are able to resume work and other normal activities immediately following their appointment. To determine the cost of your Xeomin® treatment, we invite you to schedule a private consultation at our practice. During your consultation, we will assess your cosmetic goals in order to pursue a treatment plan that matches your unique needs. Then, we will be able to provide you with a clear breakdown of the costs associated with your treatment. At RGV Cosmetic Surgery & Vein Center, we accept a number of payment and financing options, including cash, checks, money orders, major credit cards, and CareCredit® financing. We also offer simple and secure online payment options for the convenience of our patients. To learn more about the Xeomin® treatment or to schedule a consultation, contact us today. RGV Cosmetic Surgery & Vein Center is one of the largest facilities in South Texas, offering a variety of cosmetic services. We welcome patients from Brownsville, McAllen, the Rio Grande Valley, and all of South Texas.